It’s not exactly typical for a nurse to go out and tackle someone, but three students in the BYU College of Nursing have gotten pretty good at it. Ali Smith, Jessica Peterson and Jennie Lewis are all on the BYU women’s rugby team and studying to become nurses. These women tear down the stereotype of the brutal, blood-thirsty rugby player. Their voices are soft and gentle, faces smiling and ready to listen to whatever you have to say; everything you’d expect from a nurse. The women on the rugby team know how to play the game. 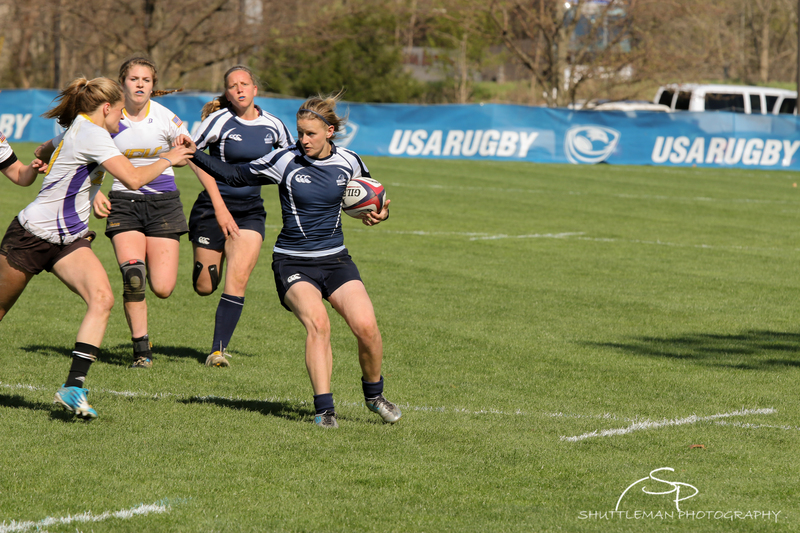 Over the past decade Women’s Cougar Rugby has climbed to the top seat in Utah and has been consistently ranked as one of the best teams in the nation. Last season the team made it all the way to the national championships in Pittsburgh and is currently ranked third nationally. Because it’s a club sport, players have the responsibility of fundraising and scheduling for everything from games to transportation. They don’t seem to mind the extra investment. Peterson is a second semester student from Chicago and has had more experience with injuries than any athlete would ever want to. She is currently three months through the nine month recovery process for a torn ACL and has had multiple other sicknesses and injuries that have put her in the hospital. These athletes also get to use their nursing skills on the field. Peterson remembers doing tackling drills with new teammates one practice. One girl went in to tackle, positioned her head wrong and ended up smashing another player’s nose. Broken noses bleed a lot, but the students (along with some student athletic trainers) knew what to do. 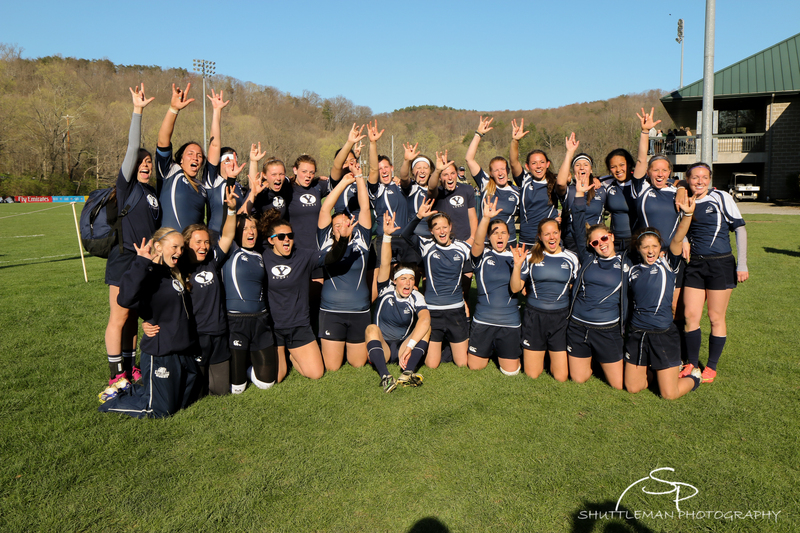 BYU Women’s Cougar Rugby is starting a new season and will have their first game against Air Force in Colorado Springs this Saturday. Their first home game will be October 17 at 11am. Go Cougs! 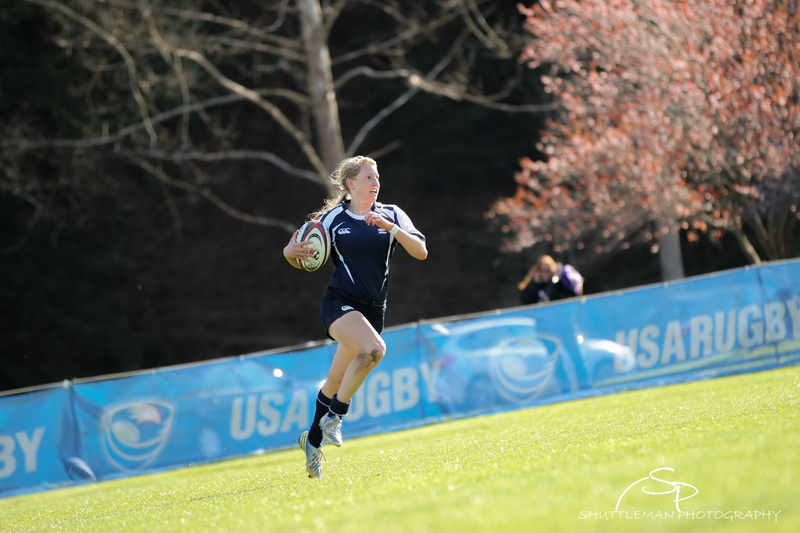 This entry was posted in Uncategorized and tagged Ali Smith, BYU College of Nursing, BYU rugby, Jennie Lewis, Jessica Peterson, Nate Brown on September 25, 2015 by BYU Nursing. 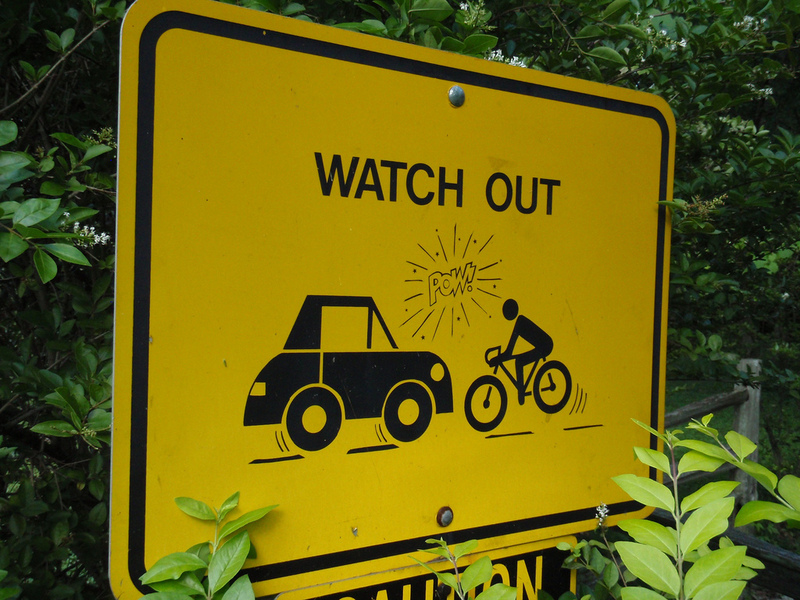 “I’m actually going to get hit,” I think as I take a final look at the car coming towards me. “Why didn’t he stop at the stop sign?” The black metal connects with my bicycle. Smack. Windshield cracks. Crunch. I hit the asphalt. I’m up. Head hurts, swimming, hot, bleeding. Somebody is asking me if they should call 911. Yes. The police come, so does the ambulance. After a flurry of questions I’m off to the hospital. This wasn’t the first time I’ve been hurt and needed medical care. My hobbies of snowboarding and long boarding have put me in the hospital two other times. But while the incidents have been different, the feeling that comes from being taken care of when I really need it has stayed the same. It’s a feeling of trust and security. It’s a feeling I get as soon as nurses start taking care of me. It amazes me that despite the high demand of their job, nurses are still able to treat each individual patient with compassion and care. Each time I’ve been to the hospital the nurses have listened to me, kept me informed and even joked around with me. It’s because of this compassion and care that I didn’t question the nurse who started scrubbing gravel out of my raw hand with an alcohol wipe. She explained to me why she had to do it, and even though it hurt more than getting hit by the car I let her scrub. I trust nurses because they know what they’re doing and know what’s best for me. I don’t think I could ever be a nurse. 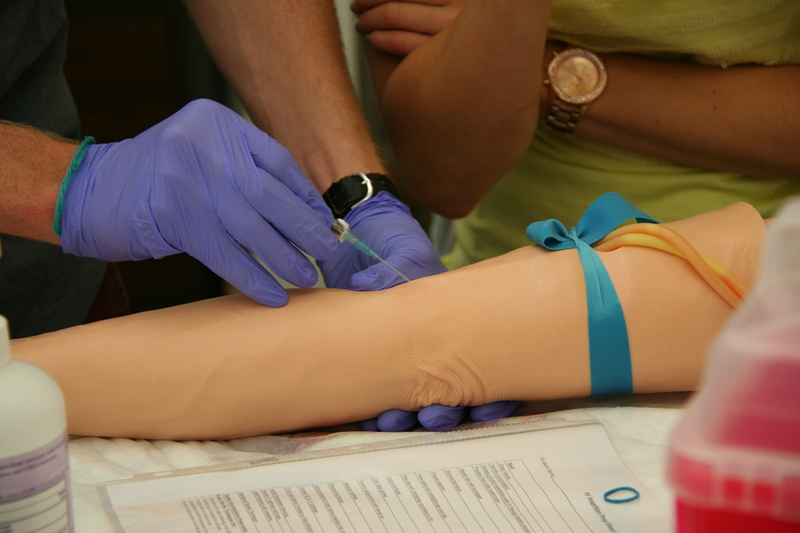 I got a tour of the College of Nursing’s simulation lab my first day on the job and got woozy just looking at a fake arm with a needle in it. But my aversion to needles and dread of bodily fluids only make me respect nurses more. With 11 stitches in my forehead and some major road rash everywhere else, I was lucky to come away from the car accident without serious injury. But just as much as I’ll remember getting hit by a car, I’ll remember the way the nurses took care of me when I really needed it. This entry was posted in Good to know and tagged BYU College of Nursing, Nate Brown, nursing, UVRMC on September 17, 2015 by BYU Nursing. The second memorable incident on the plane was an in-flight medical concern. Every Honor Flight recruits two medics to serve as in-flight medical staff. The medics for this trip were Kathy Thatcher (AS ’82, BS ’89) and Dr. Blad. About 20 minutes into the flight, one of the guardians turned to the person near her and reported that she did not feel well—then suddenly passed out. The individual sitting next to her happened to be BYU College of Nursing dean and professor Patricia Ravert (AS ’74, BS ’75, MS ’94), who was also participating in the trip as a guardian. Ravert summoned Blad, and with his help they were able to lay the woman down in the aisle of the commercial airplane. Blad quickly gathered a collection of medical devices to check the patient’s oxygen, heart-rate, and blood-pressure levels—which all appeared normal. But each time the patient tried to sit up, she would pass out again. The flight attendants used a radio headset to communicate directly to a physician on the ground. Information was relayed back and forth until the situation improved and the woman regained her strength. She spent the remainder of the flight reclined across two seats, with her feet elevated on Blad’s lap. Some would say this was the safest flight in history given the fact that there were four BYU College of Nursing faculty, two nursing alumni, and 13 nursing students onboard—all trained and ready to assist if needed. Read more about the three-day experience as additional posts on this blog. This entry was posted in College of Nursing News and tagged Honor Flight on September 14, 2015 by BYU Nursing. On the morning of Thursday, May 28, a group of 50 veterans, some family members, and 50 guardians (dedicated staff members each assigned to a veteran) gathered at the Utah State Fair Park for a sendoff. A U.S. Army band greeted them, and Brigadier General Kenneth L. Gammon addressed the assembly before the group boarded buses and went to the airport, escorted by the Patriot Guard Riders of Utah—a diverse group of riders who have an unwavering respect for veterans. Military escorts provided by the Utah Army National Guard, as well as a group of bagpipe players from the Utah Pipe Band, accompanied the group to the gate. 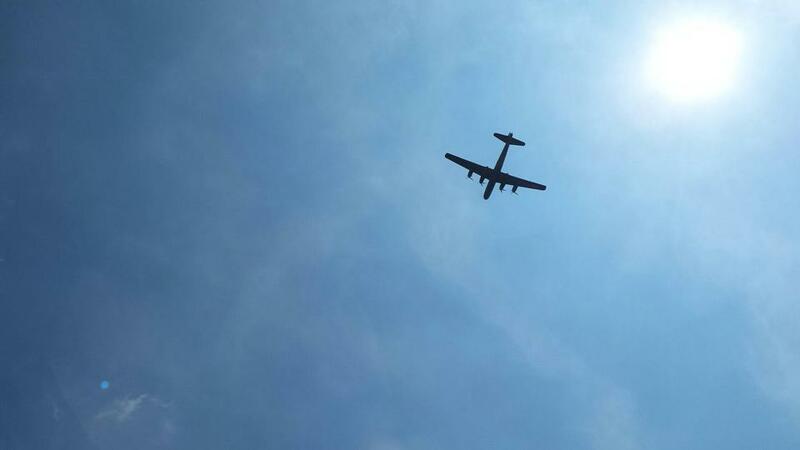 While traveling through the airport the veterans—from World War II, the Korean War, and the Vietnam War—received standing ovations and cheers along with occasional salutes and handshakes from complete strangers. These strangers (who were all busy travelers themselves) took the opportunity to show respect to this group of four women and 46 men and to offer their unsolicited appreciation. This public show of gratitude was repeated in the Baltimore Airport and at all places the group visited during their tour. Many people value patriotism and the freedoms they experience each day due to the efforts of these honored veterans. Two unique experiences occurred during the flight. The first event involved the tradition of an in-flight mail call—the Honor Flight version of the American military postal system where veterans receive letters from home. 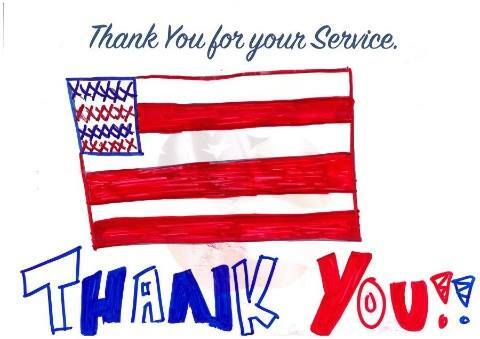 Prior to the trip each guardian worked with the veteran’s family members to gather and obtain notes and letters from loved ones; they also received messages and cards from local elementary-school students whose principal wanted to show her school’s support. Imagine unexpectedly being handed a large envelope that contains a collection of personal messages from your spouse, children, grandchildren, siblings, and friends. For most of the veterans, the flood of emotions and recollections was great, and they were unable to hold back tears. Passengers on the flight who were not associated with the group also found themselves teary-eyed and touched with the kindness reflected in the letters and drawings. This entry was posted in College of Nursing News and tagged Honor Flight on September 12, 2015 by BYU Nursing. This year the BYU College of Nursing celebrated a decade of offering the veteran section of the clinical practicum for Public and Global Health Nursing—a unique class dedicated to helping nursing students learn how to serve and care for veterans. The college marked this occasion by cosponsoring an Honor Flight in May that allowed 17 veterans to visit and reflect at their war memorials in Washington, DC. The Utah Honor Flight, a Utah-based nonprofit, sponsored the remainder of the flight (33 veterans). The national Honor Flight organization has 127 hubs in 41 states and has included more than 98,500 veterans in the program since 2005; the Utah group has sent 500 veterans since 2013. Blad and Ulberg—both veterans themselves—instruct the veteran section each spring term, in which nursing students are taught how to care for the veteran population and then spend a week in Washington, DC, learning firsthand from various veterans and veteran groups, historical sites and clinical settings. Last fall these professors participated in an Honor Flight, and at its conclusion, they desired that nursing students have the opportunity to serve as program guardians—providing constant companionship to each veteran as well as offering hygiene, restroom, medicinal, and other support. “We thought, ‘How better to expose our students to the unique culture of our veterans than to have them spend three days learning from and serving these individuals?’” says Blad. Through the help of a grant from the university and donations from caring alumni and friends of the college, funds were obtained to cover the cost for both the sponsored veterans and for the students and support staff. This entry was posted in College of Nursing News and tagged Honor Flight on September 11, 2015 by BYU Nursing. New students practice with stethoscopes in class. Both Collin and Kourtney are on the third row from the bottom on the left. 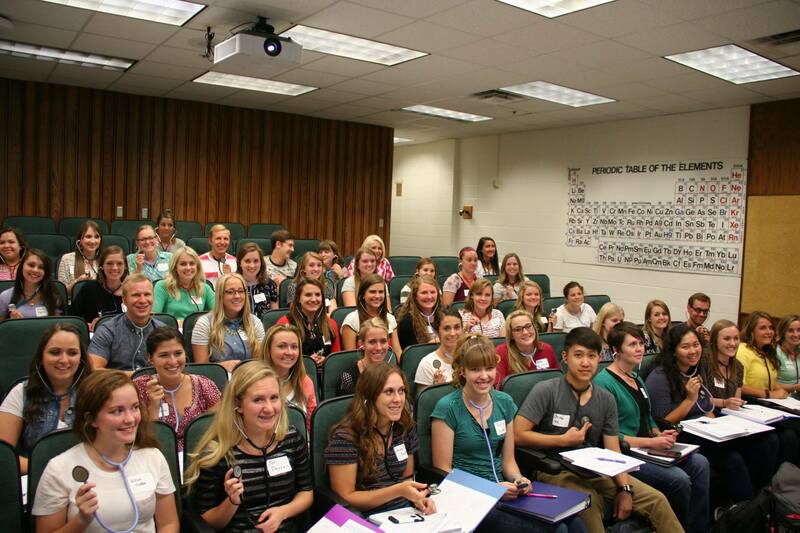 The incoming class at the College of Nursing is looking like one of the smartest yet. The newcomers have an impressive academic record with an average GPA of 3.9 and an average ACT score of 30. A total of 48 new students and 14 returning missionaries have come from all over the country to be a part of the BYU nursing program. Even though the majority of students accepted were female, the College of Nursing still has a higher number of male students than most other nursing programs. One of the first skills students learn is assessing blood pressure. This Tuesday, September 15, the college will sponsor a blood pressure clinic for students to gain experience. Check our Facebook page for times and locations. This entry was posted in College of Nursing News and tagged BYU, BYU College of Nursing, Collin Janke, Kourtney Ashton, Nate Brown on September 10, 2015 by BYU Nursing.